For thousands of years, storytelling in Western culture has followed a time-tested formula called the Three-Act Structure. 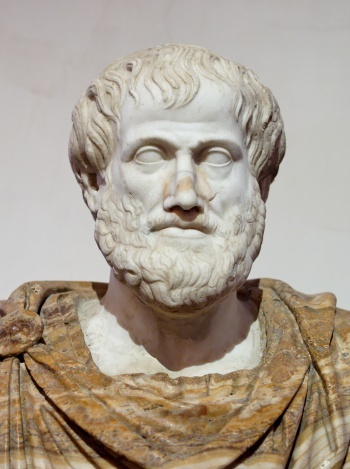 Originally analyzed by Aristotle over two thousand years ago, there is dispute over precise nomenclature and the tent poles of the model, but what is generally agreed upon is the overall concept of a structure that guides the narrative flow of a story. Whether that story is told through a play, a novel, a movie, or even a game, the three-act structure still applies. If you ensure your games follow the three-act structure, you'll see an increase in player satisfaction. We aren't always consciously aware of it, but we notice when a story fails to follow the pacing established by the three-act structure. Sometimes we can't pinpoint what the issue is; other times we're able to narrow it down: That novel took an eternity to get started; the ending of that movie happened abruptly; the middle of that video game dragged on forever. Most of us in Western civilization were raised in a culture that trains us to get a feel for a certain pacing in stories, and deviations from this structure - unless executed in an artistic manner meant to challenge the time-tested formula - often leave us with a sense that something is off. The essence of the three-act structure states that a story can be divided into three parts, with the second part lasting twice as long as the first or last part, which are of equal length. For a two hour movie, that means that the beginning should last about 30 minutes, the middle 60 minutes, and the end 30 minutes. For a 200 page novel, that's 50 pages for the beginning, 100 for the middle, and 50 for the end. But how do we apply this to an interactive medium like a game, which can't be neatly quantized into pages or minutes? I like to structure the stories in my Dungeons & Dragons games around sessions of play. When I develop an adventure, I break it down into sessions, with a rough idea of what'll happen in each session. Let's use an 8-session dungeon crawling game as an example. Act 1 is all about establishing what the adventure entails. Session 1 kicks off with the adventurers and their caravan being waylaid by a band of orcs bearing armbands with a mysterious symbol. While the heroes do fight off the orcs, they realize that in the chaos, the raiders kidnapped one of their friends. They travel to the nearest town in search of answers and learn the whereabouts of the orc camp. Session 2 sees the heroes make for the camp and defeat the orcs therein, only to find that their friend is nowhere to be found. 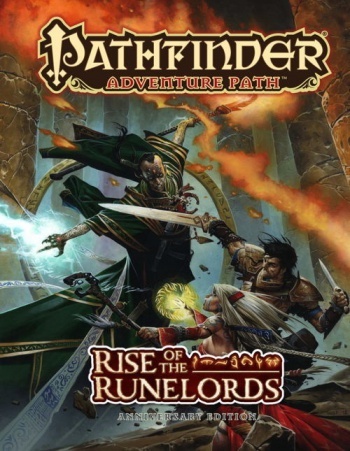 They interrogate the defeated orc leader to learn that the friend was delivered to the orc's master - a sadistic cleric that will use their friend, and other hapless victims, as a ritual sacrifice in a dungeon in the mountains. The heroes resolve to save their friend and set off for the dungeon, concluding Act 1. Act 2 comprises sessions 3 through 6 and forms the meat of the story. In order to ensure the plot doesn't drag and that the players don't lose sight of their goal, these sessions should include reminders of the heroes' objective, as well as a buildup in intensity toward Act 3, but with peaks and troughs in the action, just like a rollercoaster. 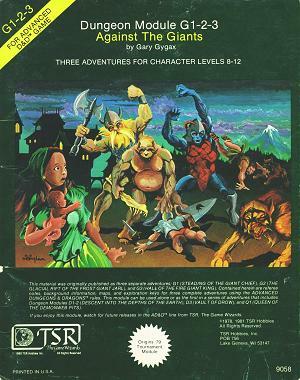 In Session 3, the heroes come across the tortured remains of a sacrificial victim, impressing upon them the doom that awaits their friend if they do not make haste. They fight their most difficult battle yet in Session 4, against an opponent that they mistakenly believe to be the villain, only to discover that he was an underpriest. Session 5 has them encounter the true villain, who holds their friend at knifepoint and escapes while the players fight off his minions. When all seems lost, in session 6, the players find clues of a secret entrance to the ceremonial chamber, and the race is back on. Act 3 is what the story has been building up to. Session 7 sees the heroes overcome magical traps and puzzles and ends with them bursting into the ceremonial chamber to discover - twist! - that the evil priest is conducting a ritual to prevent an eldritch abomination from escaping its prison. The climactic battle with the villain takes place in Session 8, along with the simultaneous execution of an alterative ritual to keep the abomination locked up without sacrificing any lives. With the threats neutralized, the heroes liberate the sacrificial victims, one of whom happens to be the son of a wealthy merchant from a neighboring city. The session, and adventure, ends with a celebration held by the merchant in honor of the heroes - and an ensuing loot reward, of course. Improvisation is a huge part of roleplaying games, and laying out a three-act structure may seem like a rigid railroad. But it needn't be. When I craft my story outlines, I do so only in the broadest of strokes, and reevaluate where that story is headed after every session. If the players take a session in a different direction than I had anticipated, I allow the story to evolve while still guiding the pacing of this new plotline. Using the example above, if the players find a clever way to defeat the villain in Session 3, then, without diminishing their victory, I would evolve the storyline to make this victory part of a greater story arc. Sure, we could have ended the adventure with the defeat of the priest, but I can guarantee you that while your players will be pleased to have defeated the villain, the narrative would be anticlimactic if it ended there. Sticking to the structure doesn't set your campaign on rails; in fact, improvisation can be necessary to maintain the structure. A master improviser can run an entire campaign that he makes up on the fly and still follow the three-act structure - and I bow to anyone who has perfected this skill. Once you know the structure inside and out, with practice, you can develop a strong enough sense of pacing to improvise a storyline that's just as good as a pre-planned one. The beauty about the three-act structure is that you can not only apply it to adventures, but to entire campaigns and even to individual sessions - you simply need to change the building block you work with. For a campaign, the building block is the adventure. For adventures, the building block is the session. For sessions, the building block is the encounter - and to be clear, that doesn't mean just combat, it means overcoming puzzles, traps, and conversations too. In fact, it is most important - and most difficult - to use this structure during sessions. Did your players feel like nothing was accomplished last session? Did the high point of the session come in the beginning, and the rest of the session just dragged? Pacing would remedy these issues, and learning to pace a session on the fly is one of the greatest skills a Dungeon Master can develop. You don't have to rigidly divide your story into perfectly measured portions, but delivering a solid beginning, middle, and end that affords roughly that degree of weight to each component will lend a sense of completeness and satisfaction to your players' inner narrative desires. It isn't necessary to rigidly hold to the 25%-50%-25% figures, but delivering a solid beginning, middle, and end (which can still include a cliffhanger!) that affords roughly that degree of weight to each component will lend a sense of completeness and satisfaction to your players' inner narrative desires. If you spotted fingerprints of Syd Field's paradigm and Frank Daniel's eight-sequence structure in that breakdown, bravo. For further reading on dramatic structure in storytelling, I highly recommend researching those two topics. There exists more than one way to further breakdown the components of a story, but covering any one in detail is beyond the scope of this article, which is simply meant to impress upon you the importance of pacing.